Get Free Rent While We Build Your Home! Sold your current home, but still building your new home? Moving can be a stressful time for families. At Gerber Homes, we get it. We understand that sometimes dates just don't align perfectly between closing on your current home, building a new home, and moving in to your brand new Gerber Home. Where will you live in the mean time? We are honored to be able to provide families with the Gerber Homes special treatment. We always put families first - and that's what makes working with us that much stronger of an experience! Located off Ridge Road on Patriot Drive, Patriot Corner Apartments offers a variety of features that are not common among everyday apartment complexes. With its fitness trail circling two fishing ponds and its nature preserve area, tenants will be able to see wildlife year round. Enjoy some of the best shopping and dining five minutes away in Webster! With its wooded setting and pond, tenants will be able to experience a quiet rural setting with the ease of stores and churches within walking distance. 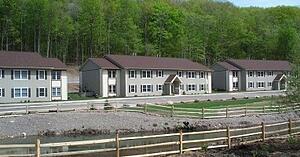 Enjoy the Erie Canal, just minutes away, with a new marina and hiking trail. Only 20 minutes from the Victor Malls! 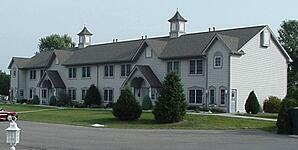 Seven Hearths Homestead is a charming community located directly off Route 21 in Marion, New York. It originally received its name from its historic land site. The first apartment building was an old barn that has been converted into ten apartment units, with three additional buildings located along the complex. 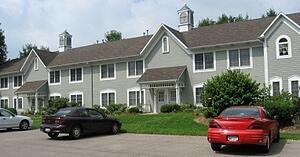 Within walking distance of downtown Marion! Are you interested in getting free rent while we build your home?